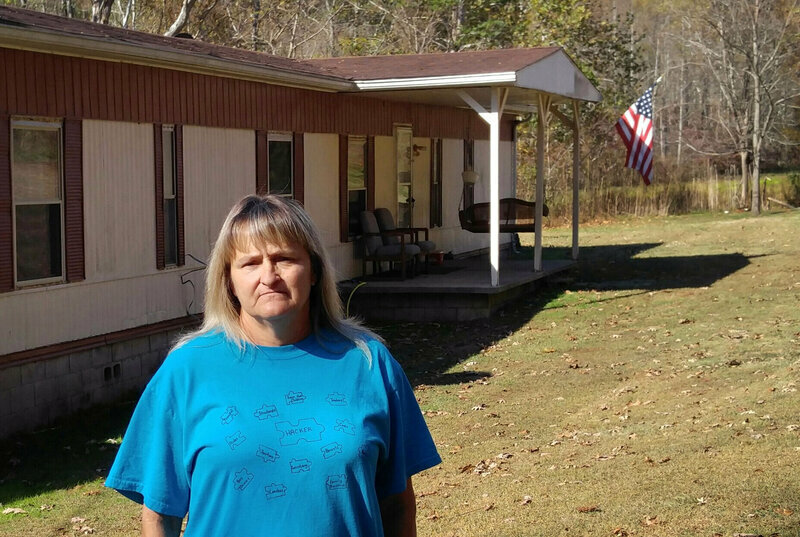 For Freida Lockaby, an unemployed 56-year-old woman who lives with her dog in an aging mobile home in Manchester, Ky., one of America’s poorest places, the Affordable Care Act was life altering. “It’s been a godsend to me,” said the former Ohio school custodian who moved to Kentucky a decade ago. Lockaby finally got treated for a thyroid disorder that had left her so exhausted she’d almost taken root in her living room chair. Cataract surgery let her see clearly again. A carpal tunnel operation on her left hand eased her pain and helped her sleep better. Daily medications brought her high blood pressure and elevated cholesterol level under control. But Lockaby is worried her good fortune could soon end. Her future access to health care now hinges on a controversial proposal to revamp the program that her state’s Republican governor has submitted to the Obama administration. Next year will likely bring more uncertainty when a Trump administration and a GOP-controlled Congress promise to consider Obamacare’s repeal, including a potential reduction in the associated Medicaid expansion in 31 states and the District of Columbia that has led to health coverage for an estimated 10 million people. Kentucky Gov. Matt Bevin, who was elected in 2015, has argued his state can’t afford Medicaid in its current form. Obamacare permitted states to use federal funds to broaden Medicaid eligibility to all adults with incomes at or below 138 percent of the federal poverty level, now $11,880 for individuals. Kentucky’s enrollment has doubled since late 2013 and today almost a third of its residents are in the program. The Medicaid expansion under Obamacare in Kentucky has led to one of the sharpest drops in any state’s uninsured rate, to 7.5 percent in 2015 from 20 percent two years earlier. Kentucky’s achievement owed much to the success of its state-run exchange, Kynect, in promoting new coverage options under the health law. Kynect was launched under Bevin’s Democratic predecessor, Steve Beshear, and dismantled by Bevin this year. Bevin has threatened to roll back the expansion if the Obama administration doesn’t allow him to make major changes, such as requiring Kentucky’s beneficiaries to pay monthly premiums of $1 to $37.50 and require nondisabled recipients to work or do community service for free dental and vision care. In a state as cash-strapped as Kentucky, the increased expenses ahead for Medicaid will be significant in Bevin’s view — $1.2 billion from 2017 to 2021, according to the waiver request he’s made to the Obama administration to change how Medicaid works in his state. Trump’s unexpected victory may help Bevin’s chances of winning approval. Before the election, many analysts expected federal officials to reject the governor’s plan by the end of the year on the grounds that it would roll back gains in expected coverage. Life already is hard in her part of Kentucky’s coal country, where once-dependable mining jobs are mostly gone. In Clay County where Lockaby lives, 38 percent of the population live in poverty. A fifth of the residents are disabled. Life expectancy is eight years below the nation’s average. Clay’s location places it inside an area familiar to public health specialists as the South’s diabetes and stroke belt. It’s also in the so-called “Coronary Valley” encompassing the 10-state Ohio/Mississippi valley region. About 60 percent of Clay County’s 21,000 residents are covered by Medicaid, up from about a third before the expansion. The counties uninsured rate for nonelderly adults has fallen from 29 percent to 10 percent. Still, the increase in insurance coverage hasn’t made Clay’s people healthier yet. Local health officials here say achieving that will take a decade or more. Instead, they cite progress in smaller steps: more cancer screenings, more visits to mental health professionals and more prescriptions getting filled. Harder lifestyle changes that are still ahead — such as eating better, quitting smoking and regular exercise — will take more than a couple years to happen, said Aaron Yelowitz, associate professor of economics at the University of Kentucky. “If something happens to this program, I can’t begin to think what impact it would have on society,” she said. Without counseling, people with mental health issues will resort to illegal drugs and be more likely to commit crimes and domestic violence, Nantz said. Newswanger sees both sides to the debate over Medicaid. The hospital gained because more patients are now covered by insurance, and the ER’s uninsured rate dropped to 2 percent from 10 percent in 2013. “Eliminating the expansion altogether would be painful for the hospital and a disaster for the community,” he said. But, Newswanger also appreciates some of Bevin’s proposals. “No one values something that they get for free,” he said, and incentives are needed to make people seek care in doctors’ offices instead of expensive ERs. Christie Green, public health director of the Cumberland Valley District Health Department that covers Clay County, said making the poor pay more or scrapping Medicaid’s expansion would be a setback to improving people’s health. “There is a lot to overcome here,” Green said.